Pumps – We are Grundfos main dealers and can offer any pump or service within their range – DAB and Capari pumps are also available from stock as alternative options. Interclamp – Hand rail and safety barrier Systems - Stock sizes 1 inch up to 2 inch – including the disabled assist range used for hand rails etc. E.J Woollard Ltd prides itself on being able to supply, source or help source any product, please do not hesitate to ask if you require any help or advice. 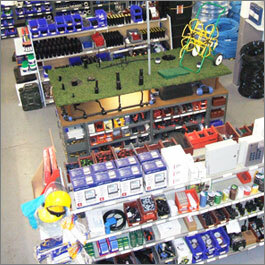 Due to the extensive range of stock items we do not publish a price list. Please telephone for prices and information.